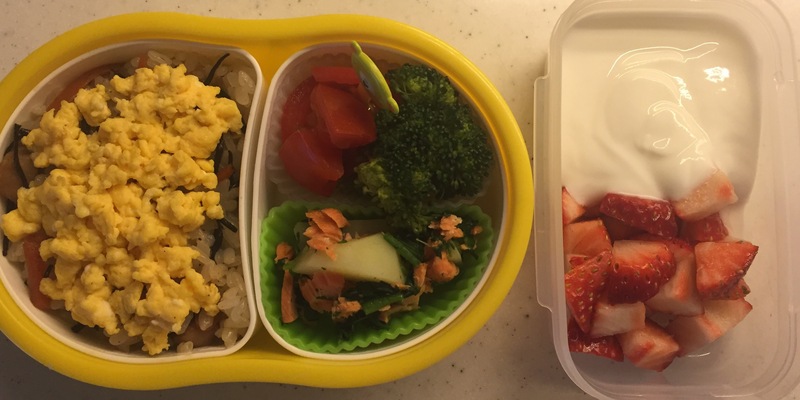 today’s bento consists of a couple of variations from previous recipes. 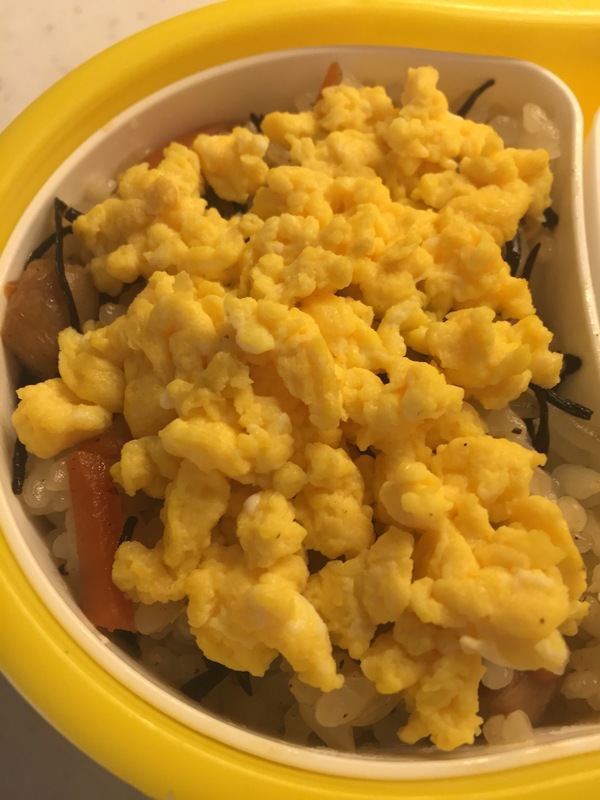 hijiki rice is literally just hijiki mixed with freshly cooked rice, and i put egg crumbles (scramble egg made into very small pieces) on top to give it a nice bright colour and a little bit of sweet taste. 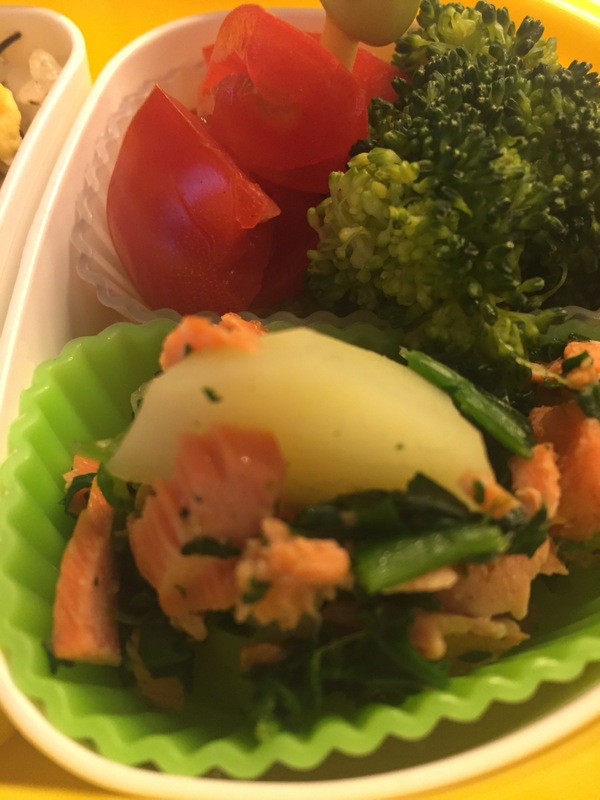 the salad is with boiled potato cut into bite size, tossed with grilled salmon flakes (the same as salmon rice) & chopped boiled spinach (froze it before) with a pinch of salt and a quick drizzle of extra virgin olive oil. 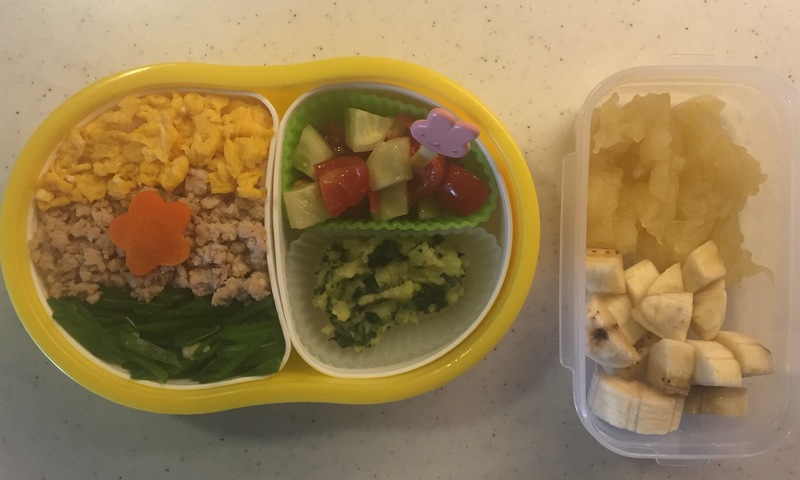 it’s an example of another easy, quick but very colorful & cheerful bento for our little one. 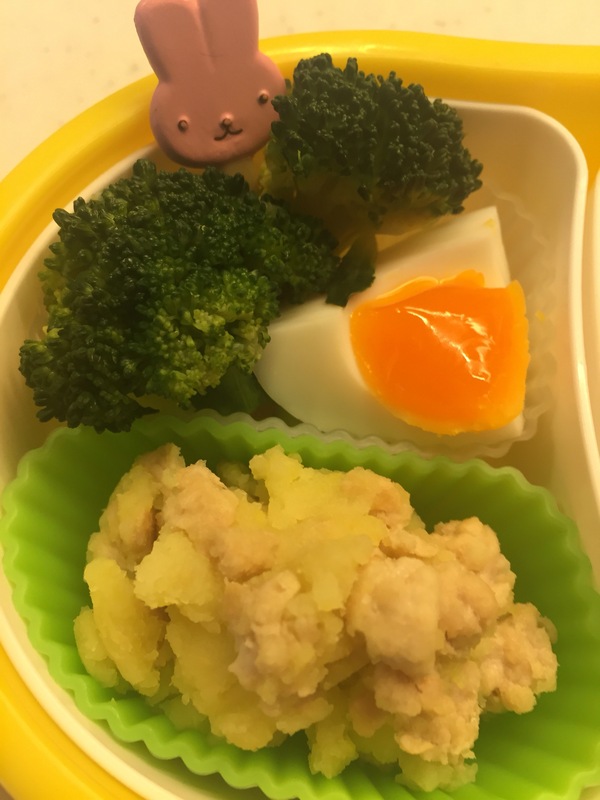 the chicken crumble with tofu is an improvised variation of tori-soboro, the chicken mince crumble, i cooked the other day. 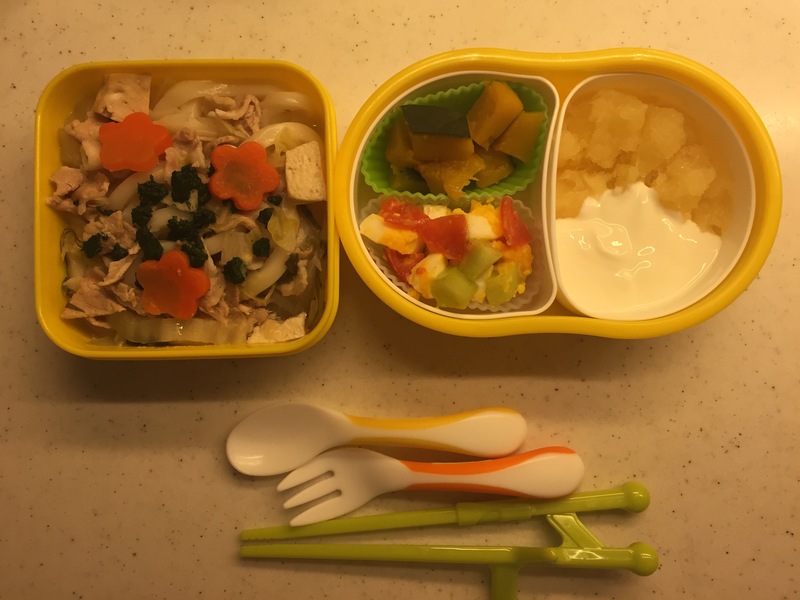 i usually prepare a lot of it and freeze it for a later use. 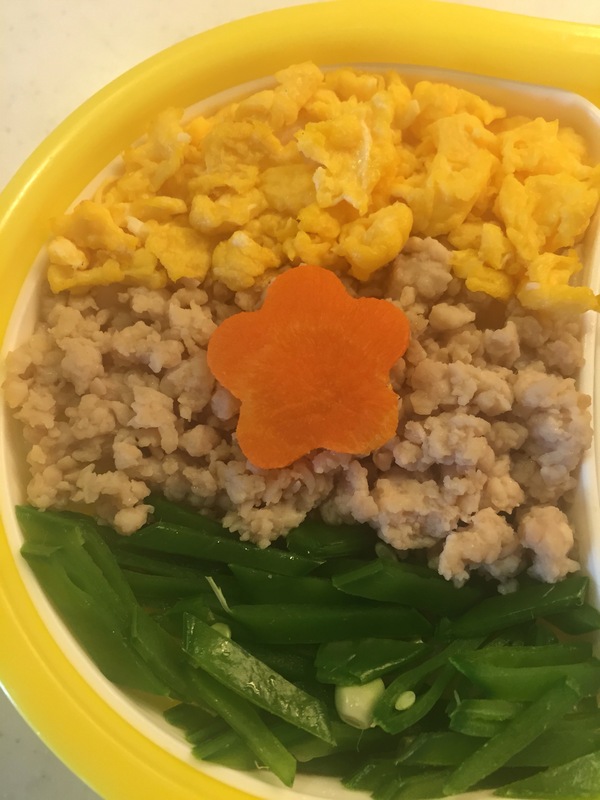 it’s really simple, healthy and tasty – just mix the chicken crumble with tofu (silky one if available) & cooked veggies like carrots, green beans and spinach, and just a tiny drip of soy sauce. you can eat it cold or warm – it’s a great match with freshly cooked rice. 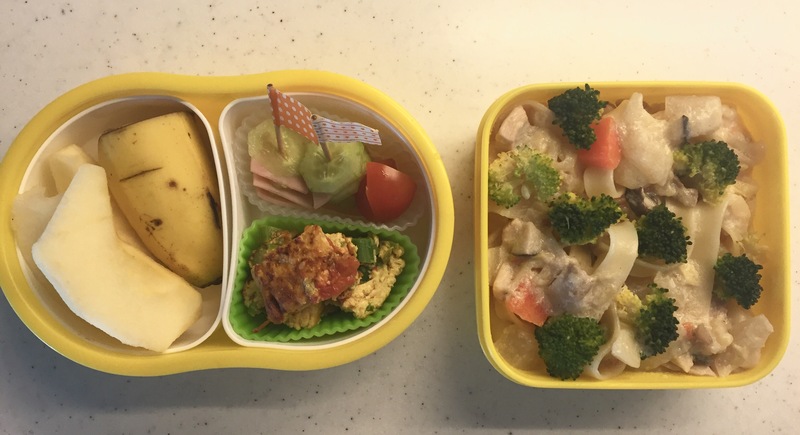 i really like the sense of spring packed into today’s bento box. hope our LO felt it, too! on this year’s valentine’s day, we had guests over for dinner to celebrate their recent marriage, and we ate shabu shabu for dinner. 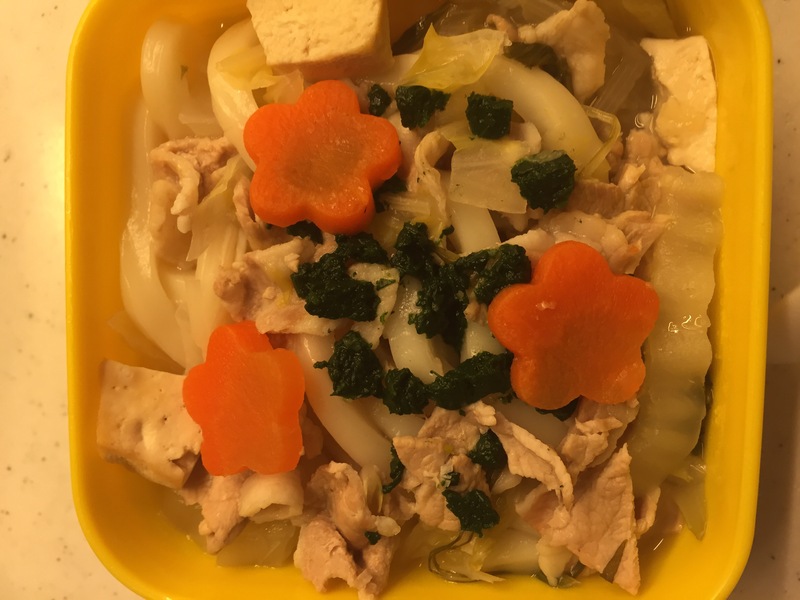 shabu shabu is a japanese equivalent of bouillon fondú, with finely sliced beef and/or pork, along with other ingredients such as tofu, mushrooms, vegetables, etc. here in japan, we tend to serve meat dishes like shabu shabu for celebrations, because quality meat is generally expensive hence prestigious. 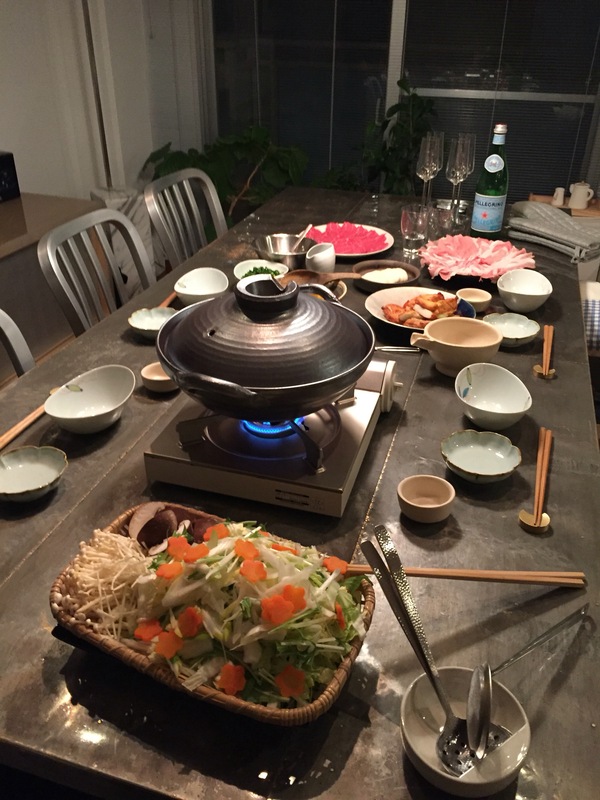 as shown in the picture, we actually cook shabu shabu in a large earthware pot called donabe on the table. we have this portable cooking stove with a can of gas attached to it. so yes, we kind of let our guests cook their own food. but it’s very interactive and fun, great for a dinner party with a close group of friends. at the end of shabu shabu, we put fresh udon noodles to finish off our meal (in japan we always end our meal with some carbo, such as rice or noodles), and that turned into our LO’s bento the next day. 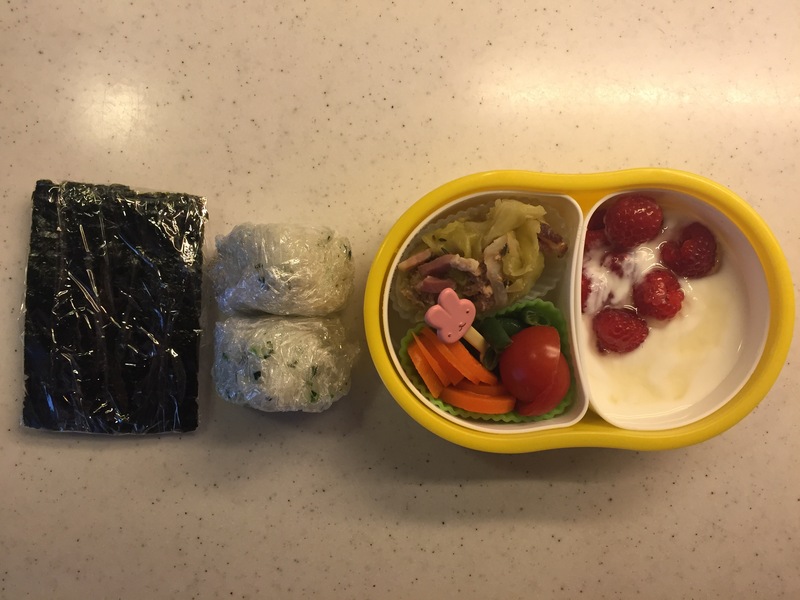 for LO’s bento today, i prepared nori seaweed separately from rice ball, so that it will remain dry & crisp. 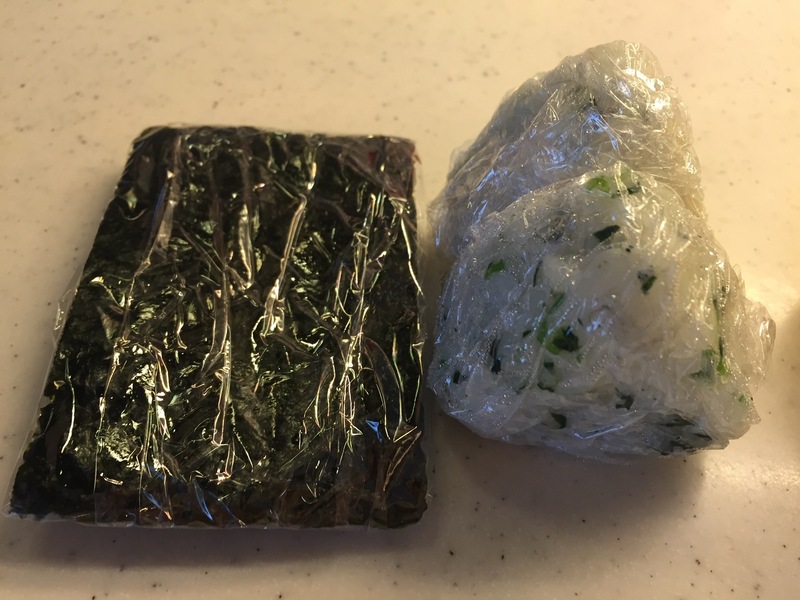 but you can also put it on rice ball beforehand if you prefer nori being rather soggy. it’s totally up to you. today’s side dish, rolled cabbage, is just some leftover from the evening before. it is pork mince pâté wrapped & rolled in a cabbage leaf, and cooked in chicken bouillon. i used sliced pancetta and thyme to give extra flavour. 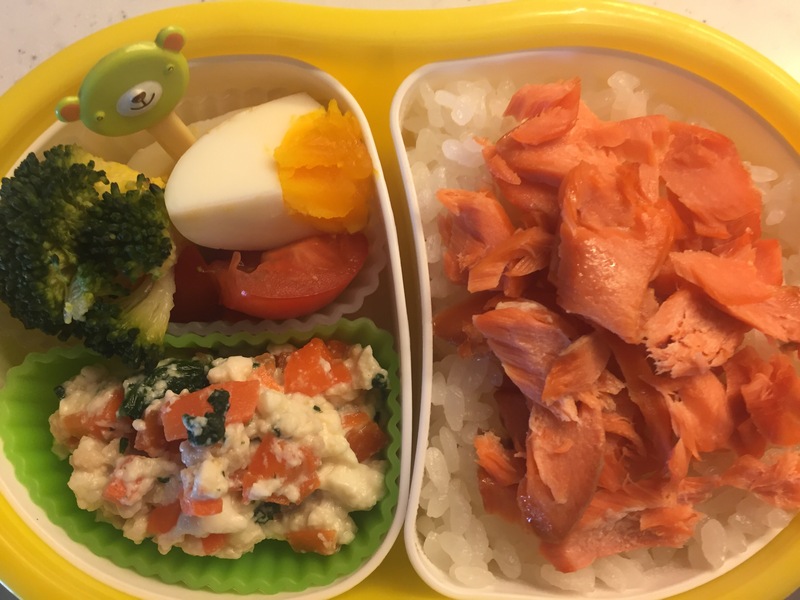 i hope LO liked my another effortless bento today. 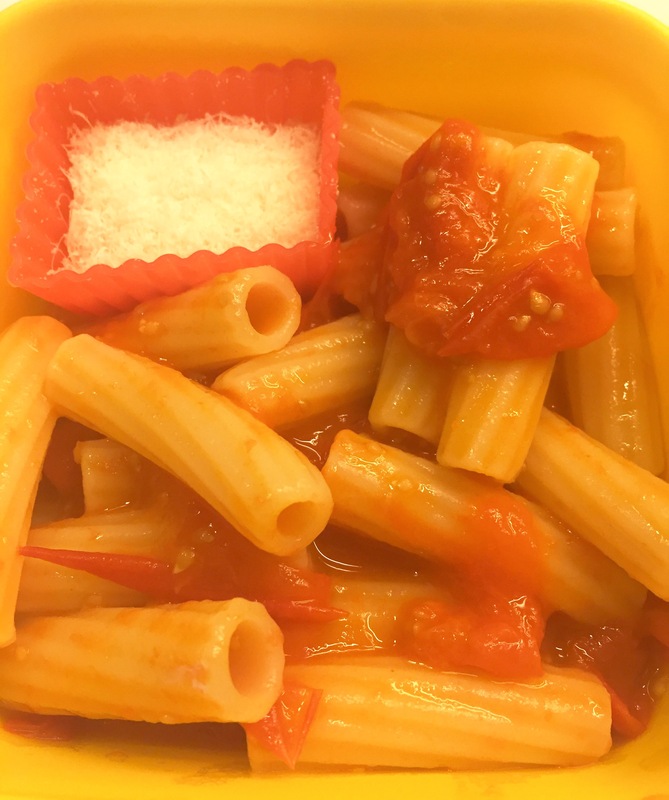 LO loves any kind of pasta, but her absolute favorite is the one with tomato sauce. 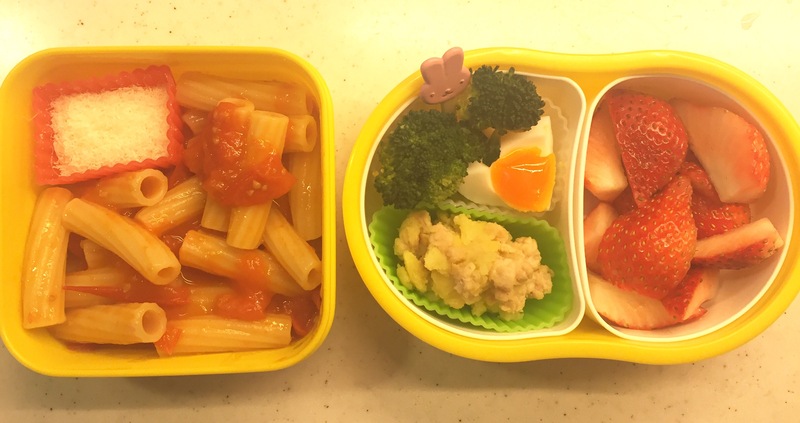 i make tomato sauce with only 3 ingredients – cherry tomatoes, extra virgin olive oil and a pinch of salt. just toss the 3 ingredients into a pan, simmer it until tomatoes get watery, for 8 minutes or so. 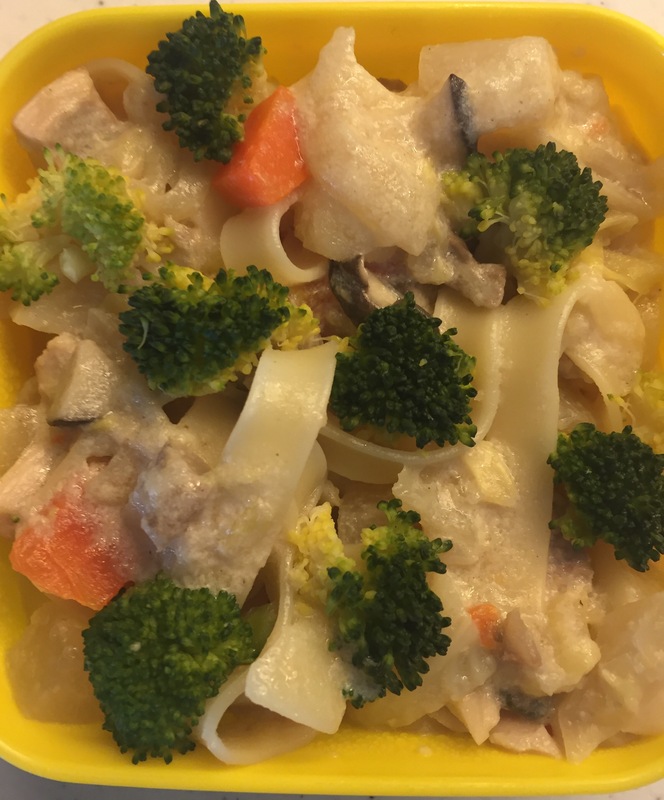 with any pasta of your choice, you’ll be surprised how tasty it can be with such simple recipe. 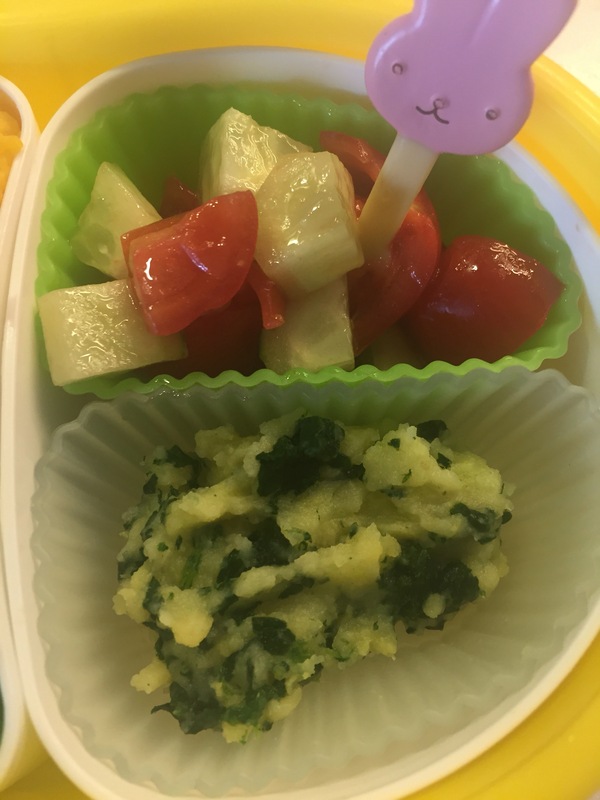 depending on the side dishes, i make sure to add chopped spinach or some other veg, as well as either tuna, chicken or bacon in the sauce, so that LO gets enough nutrients from a meal. 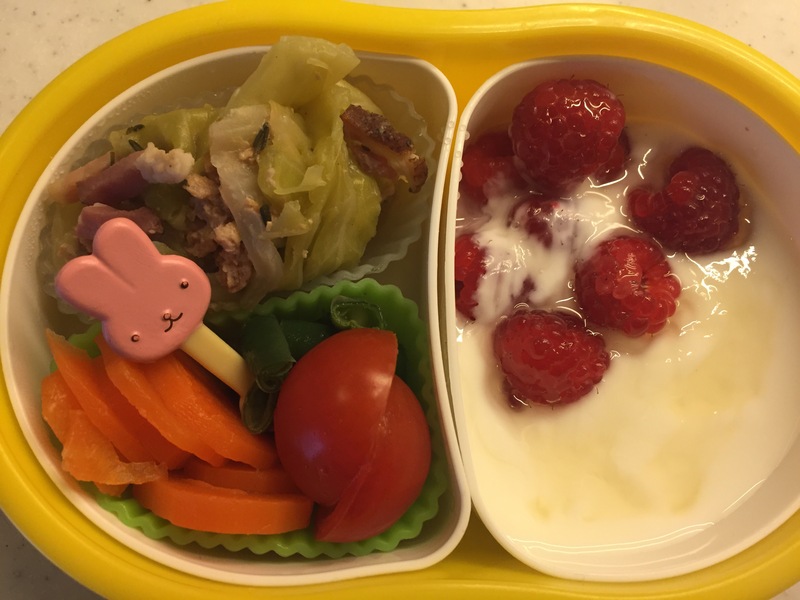 but today i kept it simple, as there were already enough protain and vitamins in the side dishes.